What gives me the competitive edge over other agents? How might I know more about planning, marketing, strategizing, updates and styles in homes, negotiation, and sales... than most other agents? 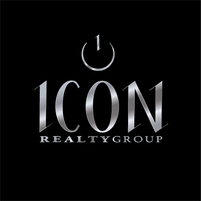 Prior to my becoming an agent, I had a real estate investment company. We flipped houses. My firms and I flipped... a lot... of houses. Hundreds over 20 years. During that unique 20 year tenure and after countless real estate transactions, I naturally developed a solid (I'd argue unparalleled for this area) knowledge and experience in the real estate industry... as well as successful negotiation abilities. [See what my clients have said about me here] With my flipping experience, I can very quickly (within a few minutes) ascertain what the homes' selling points are, what the flaws are (and how to cure/limit and/or spin them in marketing). And I can very quickly provide strategic updates and recommendations that usually are very affordable... that will provide you with a higher selling price, fantastic ROI, and a quicker sale. So.... what does this mean for you? You can hire the average agent. Or you can hire me... and I promise you that you're experience will be anything but ordinary. It's my goal with each and every client that they walk away feeling like they were superbly cared for... superbly serviced and helped. That's what my clients deserve. And that's what you deserve. I know how to get the job done for you... from beginning to end. After all, I've been in your shoes... except hundreds of times. Take the next step. Contact me [here] and let's get together for coffee or at your house and talk about the options. No obligation. No hassle. Just a fun conversation.